Excavations at the adjacent sites of Gorham's Cave and Vanguard Cave have yielded a rich combination of archaeological and palaeoenvironmental finds covering a timespan of over 100,000 years. 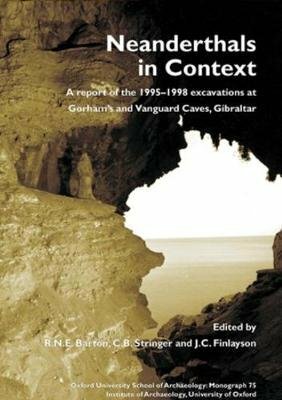 This volume deals with the primary results of the 1995-1998 excavations at both caves. The 24 chapters by leading specialists cover a range of topics from information concerning the nature and sequence of Middle Palaeolithic Neanderthal occupations to the reconstruction of the environmental context of these activities, based on proxy indicators such as sediments, charcoal, amphibians, reptiles, avifaunal remains, and small and large mammals. The Gibraltar evidence provides a rare insight into the lives of Neanderthals in a western Mediterranean coastal setting. It also presents site information on some of the last Neanderthal populations and the Middle to Upper Palaeolithic transition.